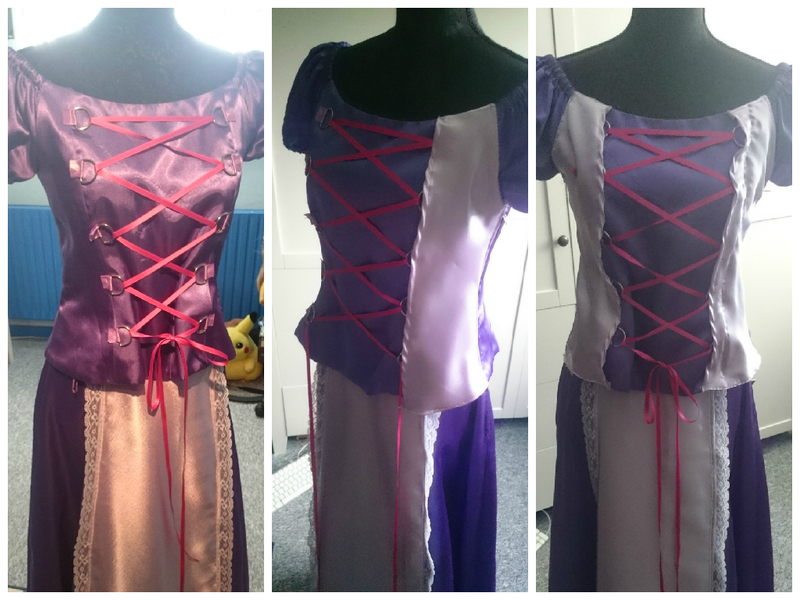 I have been working on this dress for sooo long now. 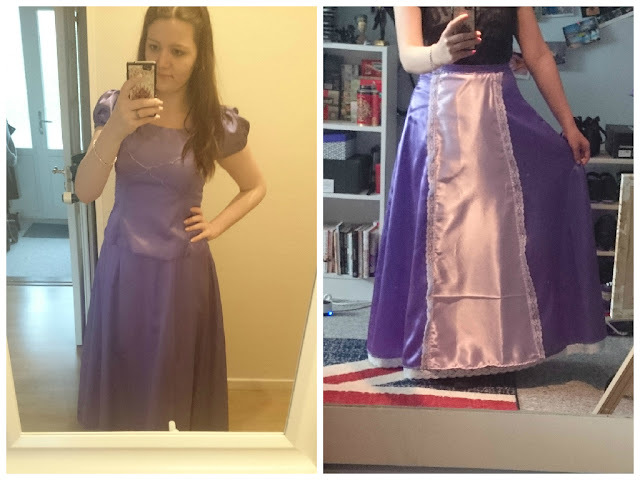 I did almost give up, because i though it was impossible and my sewing skills is not the best, but i kept going and i have been making a huge progress the last few days! So i though i wanted to show you it on here, like i do on my instagram. 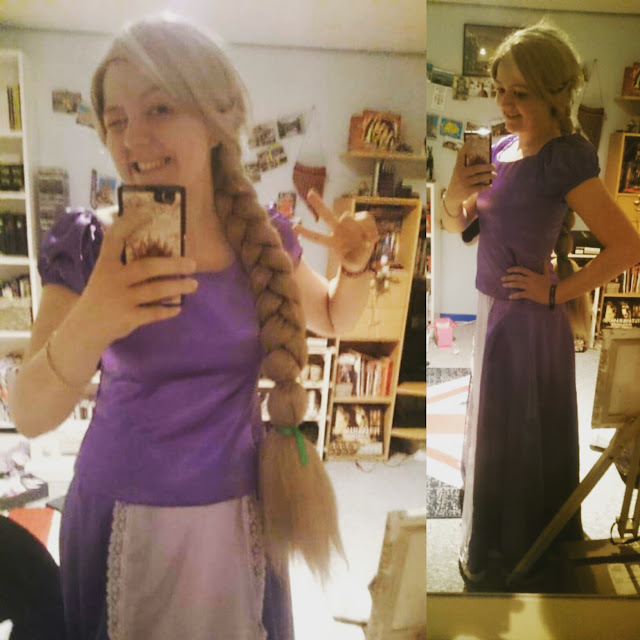 I bought a dress in the secondhand shop and it just screamed Rapunzel so i got it for only 55DKK or less? I can't remember, but it is creap for a dress made out of satin. I think it is someones old prom dress to be honest. I stared down pinstest for a few weeks and started to buy all the materials i though i needed. When i told the lady in the hobby store what my plan was and said i didn't have any experience in making dresses (beside the Belle one of course) she just looked at me weird. "Are you sure you want to do this?" oh hell yes. I think it is going pretty well! ANd yes i got a wig too!